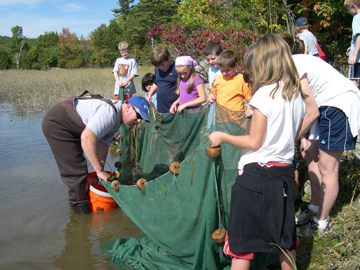 Our biannual Bay Days are a chance for regional 4th-graders to gather on the shores of Merrymeeting Bay for a fun day of outdoors, hands-on activities. 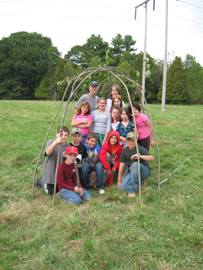 Typical courses include fish printing, beach seining, tree walks, and foraging for wild edibles. Dozens of volunteers help us make this one of our most popular and long-standing events. We are always looking for volunteers for Bay Day! Please contact us at 207-666-1118 or fomb@comcast.net for more information.